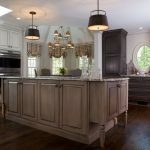 Crystal Cabinets is a family-owned manufacturer of fine custom cabinetry that has been carrying on the tradition of handcrafted quality for over 60 years. 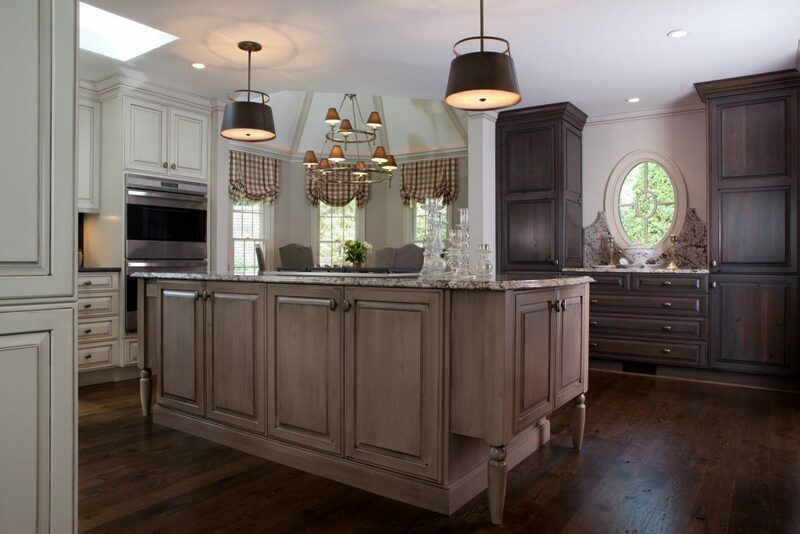 Their dedicated craftspeople pride themselves on craftsmanship, service, and a dedication to bringing you the finest materials, the latest innovations, and the very best in cabinet design for your kitchen and the entire home. BKC’s relationship with Crystal Cabinets began when we first opened our doors for business in 1978. Now, we are proudly their highest-volume dealer across the nation. This strong relationship with Crystal provides us with many benefits that we, in turn, can share with you. 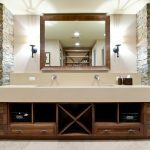 Crystal’s fine products offer uncompromising quality and value, outstanding custom cabinet selections, and only the best in workmanship and design details. 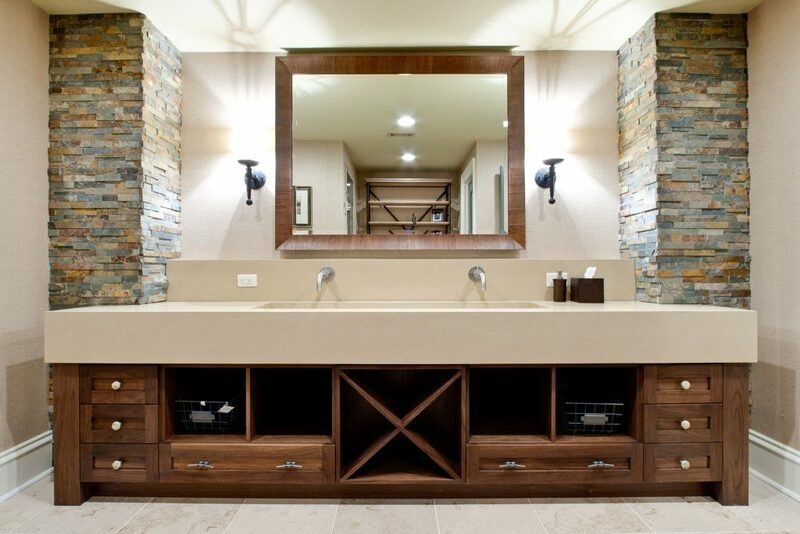 As a custom cabinetry manufacturer, they offer an endless selection of woods, door styles and finishes to capture your style. Whether traditional, transitional, contemporary or something in between, they’ve got the look you desire. When you select a door for your cabinets, the style you choose can be the inspiration for your entire room. Crystal offers over 80 finely-crafted door styles to help you reflect your personal taste. If that’s not enough, it’s easy to design your own unique door style with their comprehensive Custom Door Program. 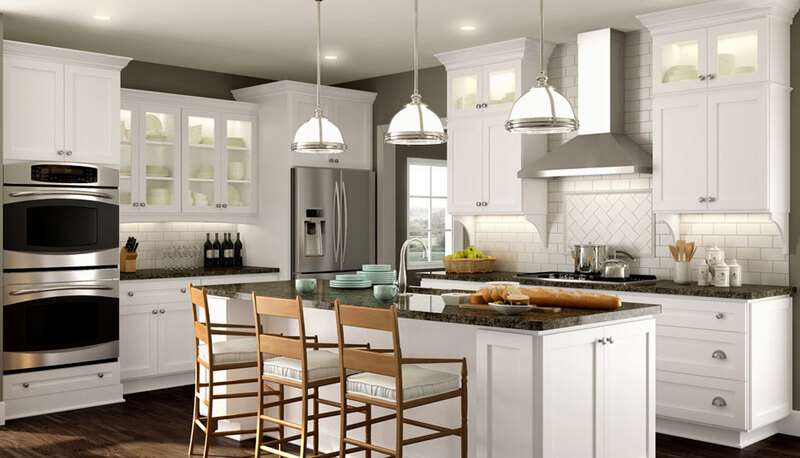 Choose from Crystal Cabinets’ unsurpassed collection of stains and paints to achieve your one-of-a-kind finish. Crystal’s finishes are known throughout the industry for both resilience and beauty. Their exclusive LuxGuard topcoat offers an enhanced depth of color and durability with a silky feel like none other. 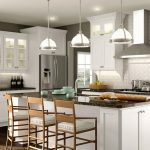 Using artistic, hand-applied techniques and state-of-the-art technology, Crystal Cabinets has perfected their finishes to be the finest in the industry. 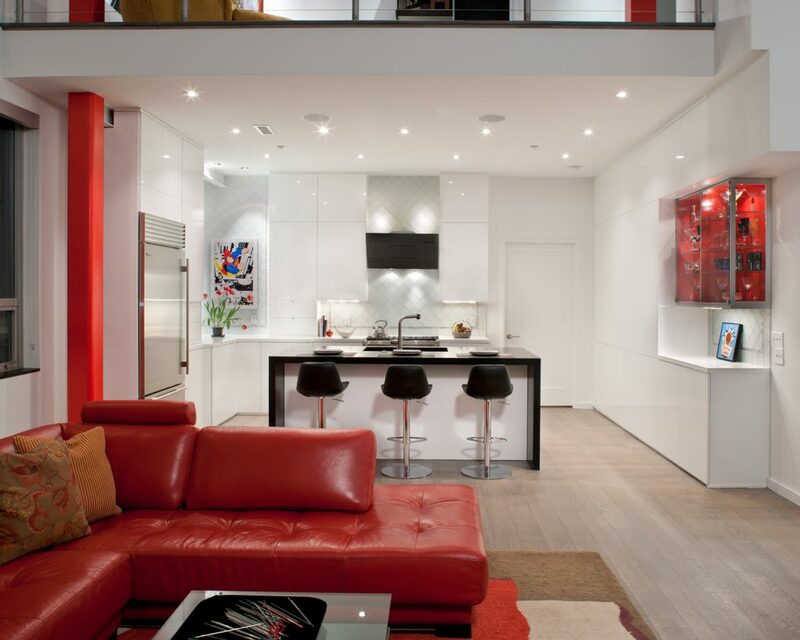 Additionally, they have the capability to match just about any color you can imagine! 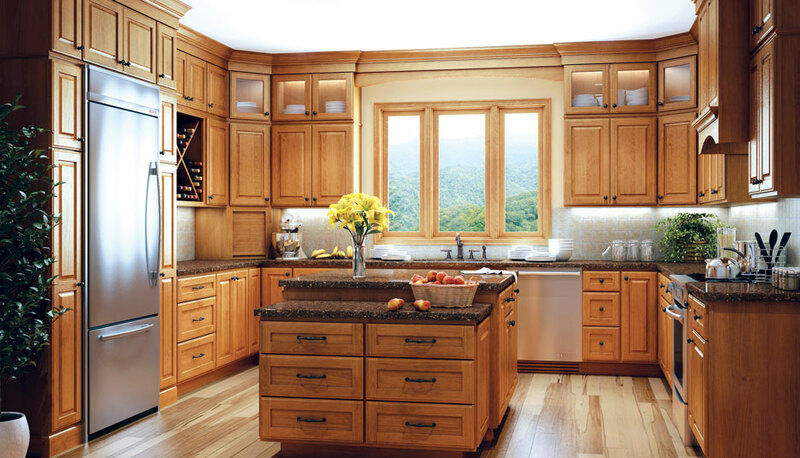 Crystal custom kitchen cabinets are crafted by skilled custom cabinetmakers, ensuring they will stand the test of time. All Crystal Cabinets products are manufactured with premium American-made plywood and are backed with a Limited Lifetime Warranty. Take a look for yourself. See the irresistible details and value, and discover why Crystal is the finest name in cabinetry! Crystal Cabinets’ cabinet manufacturing facilities have achieved certification under the KCMA’s Environmental Stewardship Program. Crystal has been directly involved with the development of the program, which is designed as a framework for manufacturers to highlight sound environmental business practices. Crystal’s green practices include: no added urea-formaldehyde (NAUF) cabinet construction, 100% recycled, low-emitting, and rapidly-renewable cabinet components, and an ultra-low emitting topcoat. 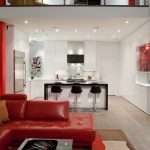 Looking for cabinetry that offers the same high-quality construction as Crystal Cabinets’ custom line but at a more affordable price? Current® allows you to enjoy striking, durable cabinets while staying within your budget. Manufactured by Crystal, Current is an excellent value available in framed or frameless construction. You can choose from a selection of beautiful design details and cabinet accessories to create the perfect kitchen, bath or other room in your home. Current’s collection of doors offers you classic, yet fresh transitional details, like wider stiles and rails and simple profiles. 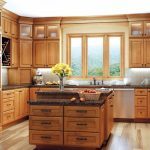 Unlike others who outsource their doors, Crystal Cabinets manufactures all of their own wood door styles, ensuring durability and solid construction.